While the new collection celebrates strength, it does not neglect its feminine aesthetic. With different styles to choose from, every woman will find something to love in these pretty watches that are also practical, thanks to indexes and hands set with luminescent materials providing perfect visibility. 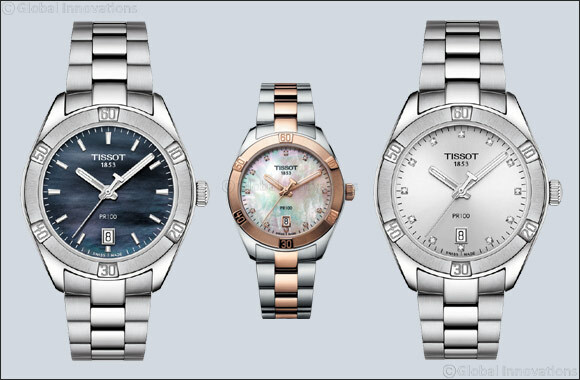 Minimalist fans will be drawn to an unfussy face, while others, after a touch of luxury, will appreciate the shimmering mother-of-pearl or sunray dials decorated with dazzling index diamonds. Bicolour references, with on-trend rose gold PVD, add a stylish edge, while skillfully polished and satinated surfaces leave an elegant finish on the case and bracelet.